So, let's say you like the idea of embracing some (or all) of your natural grey, but you are not sure what options exist. AH, that is where my specialty comes in. And THAT, my friend, is what we are talking about today- the three basic options for going grey hair - full coverage, grey camouflaging/blending, and grey enhancement. Do completely want to conceal your grey at all costs? Well, then traditional, full "grey coverage" is for you. 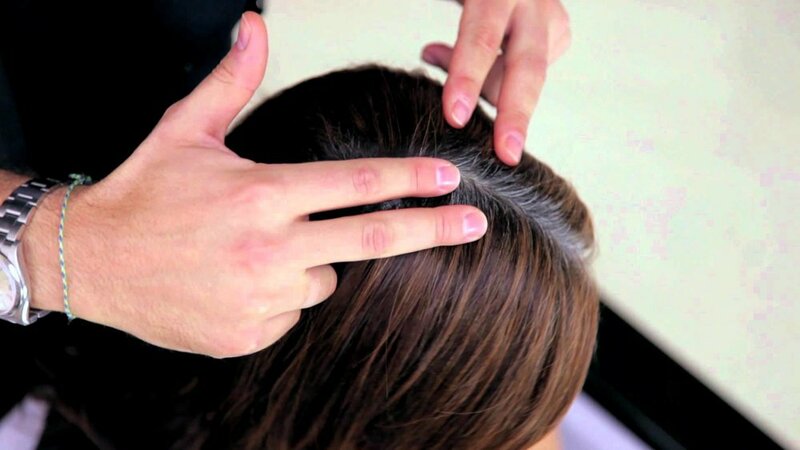 For those who want grey disguised but do NOT want a HARD line of re-growth, "grey camouflaging" is the perfect option. It blends the distinction between the grey and the natural color beside it. If you want to embrace nature, but like to have a polished affect (or wish your grey was more silverized) with minimal color maintenance, then "grey enhancement" is for you. Note, the re-growth line is evident. This is an example of and elegant, full coverage brunette. this means that you fully reject THE GREY and conceal IT. PRO- You can create almost any color. CON- You can get a hard, obvious re-growth line. EXAMPLE “Look at my roots. I need to cover this grey as soon as possible or I will have to wear a headband all week long." this means that you accept the grey by creating a muted color-scape that blends the grey into the other leftover natural color; the grey will not need to be concealed 100%. This image from the Goldwell Grey Campaign demonstrates grey camouflaging/grey blending. This subtle highlight on her natural brunette color, disguses our eye from seeing her grey. PRO- The grey is utilized while coloring. The regrowth line is quite subtle. This can be done with both subtle, natural colors or some vibrant, unnatural shades (for those who yearn for creative colors). CON - There really is no major con. Sometimes, the application of a “gentle traditional developer” makes the natural (not grey hair) appear warmer. So, this method may not work as well for the cool toned person. Example: " I don't want to look like I don't have ANY grey, but I am not ready to look like a grandma yet. Can you camouflage my grey a bit?" this means you embrace your grey by taking the natural beauty that exists and enhancing or refining it in such a way that makes it more attractive to the eye. Her subtle highlight/lowlight uses soft ashy and beige tones to enhance her natural grey. This image from the Goldwell Grey Campaign demonstrates grey enhancement services. PRO- You represent beauty at every life stage. You want to stop fighting nature. Minimal IF ANY regrowth line visible. Low maintenance. CON- Exposing grey means acknowledging signs of age. You need to actually have enough white/grey in order to do this. Example: "I love my white hair but I wish it were a little less yellow toned and looked like a pure white. Is there anything that you can do to improve or enhance it without making it go away?" Still have burning questions? Not sure what technique will work best for you? NO PROBLEM. That's why I offer hair consultations prior to any color appointments.